Dr. Mariusz Belza, and his professional dental team, are committed to providing the highest standard of dental treatment for your individual needs using the latest technology in a modern, relaxed environment. Specializing in general, cosmetic, and restorative dentistry, a commitment to quality care is provided to patients of all ages. Educating each patient on all the available treatment options is strongly emphasized by Dr. Belza and his dedicated team to assist patients in making informed decisions appropriate to their individual circumstances and lifestyles. Call today to schedule a consult or to request a tour of their unique dental practice. Dr. Belza, Mariusz has not left an email address. Please contact Dr. Belza, Mariusz by phone. © 2019 Dr. Belza, Mariusz. 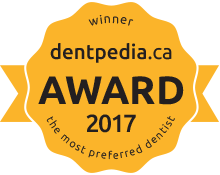 Powered by dentpedia.ca. All rights reserved.